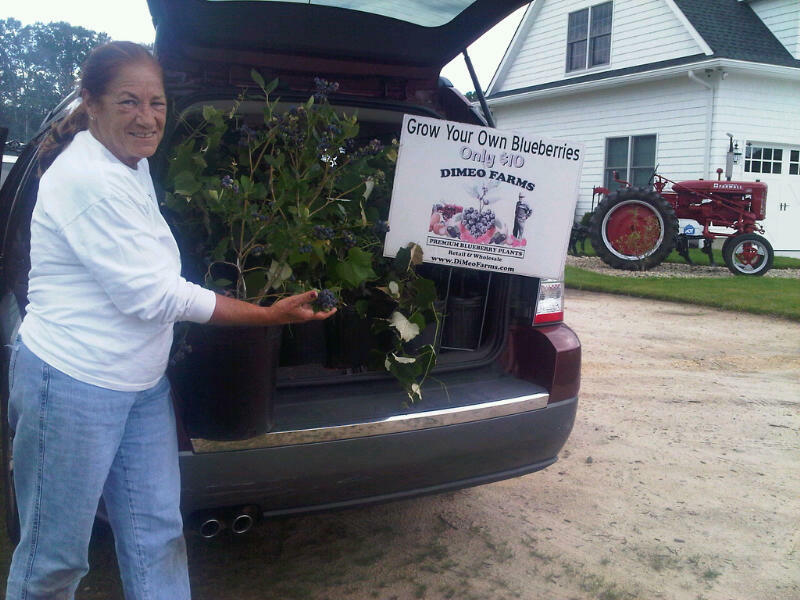 Get the REAL scoop on DiMeo Farms Reviews direct from our satisfied customers who drive out (and fly out) to tour our family-owned blueberry farm and impressibe blueberry plant nursery dlr. operation. 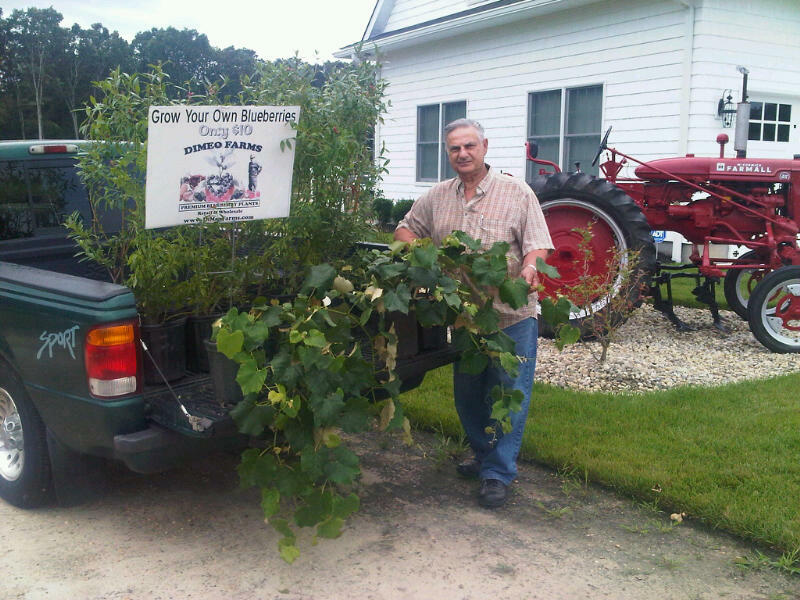 Since many of our customers from across the country want to get a “real feel” for our higher quality berry plants and family farm, we are going to start posting DiMeo Farms customer photos with no DiMeo Farms complaints here from our happy berry plant customers that rely our on expert berry plant advice as well. Look at the 50,000 LIKES from our happy DiMeo berry plant customers with photos of our gorgeous berry plants for sale direct to home blueberry gardeners at the lowest prices. DiMeo Farms and our family of expert blueberry farmers helped this husband and wife learn how to grow blueberries and start their own blueberry farm with BIG Bearing-Size blueberry plants direct from our family blueberry farm that will be “ultra-heavy bearing” BIG Bearing-Size blueberry bushes ready to fruit now for only $10 bucks each. 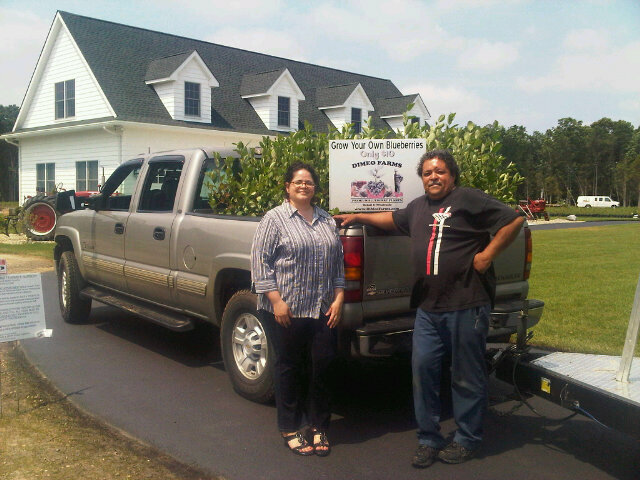 These two below satisfied DiMeo Farms customers actually drove all the way up from Florida to buy some very rare Heirloom blueberry plant varieties direct from our experienced family blueberry farmers. No one else had these rare blueberry bush varieties and it made for some very happy DiMeo Farms customers with no DiMeo Farms complaints here with more happy customers that drove out just to buy blueberry plants direct from our expert DiMeo blueberry farmers This next below satisfied DiMeo berry plant customer wanted BIG Bearing-Size blueberry bushes ready to fruit now for only $10 each and beautiful grape plants direct from our family farm. Look at our beautiful DiMeo blueberry plants — no one has blueberry plants as large, and at such a low price as our DiMeo blueberry farms.